A popular product among our professional and institutional traders, X_TRADER® by Trading Technologies™ is a sophisticated platform that satisfies the "need for speed" from our most demanding electronic clients. There are two pricing structures available: Per Transaction ( No Monthly Platform Fee) or Monthly Subscription. MD Trader® is TT's patented ladder with one-click order entry and cancellation is designed to meet the demands of the most aggressive traders. With unsurpassed speed, reliability and ease of use, MD Trader® provides the best the market has to offer. 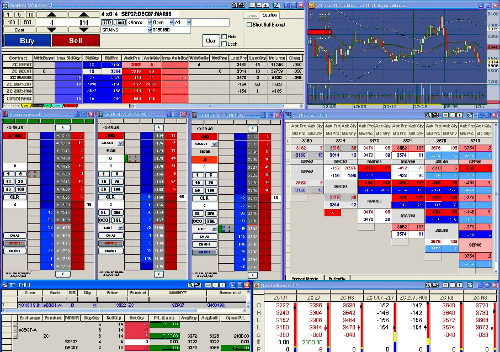 X_Trader® with a Pro license features all of the popular functions of X_Trader® with added advanced capabilities and automated tools including: TT's Autospreader® and Autotrader™.